The Nationwide Liaison Association of Cervical Cancer Vaccine Victims and Parents in Japan, assisted by some of Japan’s best medical scientists, and a few politicians with strong morals are doing everything they can to get HPV vaccines banned from their country. These people see Gardasil and Cervarix as vaccines with an unacceptable safety profile and very little proven benefit. Consequently, the Nationwide Liaison Association of Cervical Cancer Vaccine Victims and Parents has started a public petition to ban HPV vaccinations in Japan. The Japanese version is here. An English language version of the same petition is here. Why are Japanese citizens against HPV vaccinations? Merck and GlaxoSmithKline marketing experts have done an outstanding job of creating a universal fear of being ‘infected’ with HPV, Human Papillomavirus. Unfortunately, the promotional materials for Gardasil and Cervarix as cervical cancer preventatives are filled with half-truths at best – perhaps even out and out lies. Gardasil and Cervarix are promoted as cancer vaccines. They are not! Both vaccines are designed to combat two HPV types associated with cervical cancer. Even if these vaccines do exactly what they are meant to do – eliminate the two high risk types of HPV, no one will know if the vaccines have any impact on cervical cancer for decades. Prior to the marketing push for HPV vaccines, CIN1/2/3 were known as abnormal cells – something that needed to be observed until treatment was required. Now, they are almost always referred to as ‘pre-cancerous’ lesions. This serves no purpose other than to strike fear into the heart of almost any woman on the face of the planet. The nature of the abnormal cells has not changed, simply the terminology. No mention is made of the fact that CIN1, CIN2 and often CIN3 abnormal cells revert to normal cells without medical intervention. The following chart illustrates these facts perfectly. There is no doubt major pharmaceutical manufacturers such as Merck and GlaxoSmithKline stay abreast of information released by the World Health Organization, particularly if that information pertains to one of their top revenue producing products. If they do, then both companies are well aware of the information in the following chart. Pay close attention to the numbers below. You will see the figures at the bottom of the pyramid quoted all over the place. You will not see the number at the top quoted, particularly by HPV vaccine manufacturers. This is the number medical consumers need to know – it clearly shows the virtually non-existent risk posed by being ‘infected’ with so-called carcinogenic HPV. Keep in mind this is a World Health Organization estimate which clearly states that only 0.15% of those infected with carcinogenic HPV (high-risk HPV) will ever develop cervical cancer – much less die from it. It certainly doesn’t make a good argument for universal HPV vaccination programs, does it? 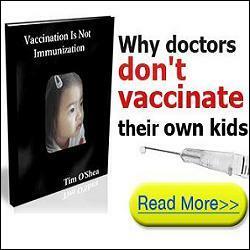 This was originally published on a women’s health site which is jointly sponsored by Japan Vaccines Co. Ltd and GlaxoSmithKline – andcan be viewed here. The site is of course in Japanese, but you can clearly see the chart on the bottom left-hand side of the page. It’s easy to see why everyone so afraid of being ‘infected’ with HPV. The pharmaceutical companies’ marketing experts have done their job so well that no one is able to see the simple truth. The truth is 99.85% of those exposed to carcinogenic HPV will never develop cervical cancer! This chart compares the percentage of reports to the US Vaccine Adverse Event Reporting System after HPV vaccines versus the 13 other vaccines used in the same age group. Why do HPV vaccines account for such a high percentage of the total reports? What is so different about Gardasil and Cervarix? Pap screening and the prompt treatment of abnormal cervical cells has never caused convulsions, partial paralysis, severe neurological damage, autoimmune disorders, seizures, chronic fatigue syndrome or death. The Vaccine Adverse Event Reporting System (VAERS) was established in 1990. 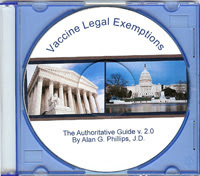 There are 80 vaccines FDA-approved for use in the United States. HPV vaccines account for 25% of the entire VAERS database despite the fact they have been on the market for less than seven years. This is no small ‘accomplishment’ considering Gardasil and Cervarix have been on the market less than seven years? Why add the risk of using Gardasil or Cervarix to a cervical cancer prevention program when pap screening has been proven safe and effective, particularly when the need for pap screening is not eliminated by HPV vaccine administration? We live in a world where few women, if any, need ever die from cervical cancer. Why don’t governments simply concentrate on providing the already proven safe and effective means of controlling cervical cancer? Are you willing to put pharmaceutical manufacturers and government health officials in the driver’s seat when it comes to your health or that of your children? Are you willing to trust the words of advertising campaigns built on half-truths and questionable research? Are you willing to blindly trust government health officials who get their advice from ‘experts’ with a financial stake in the vaccine game? Are you willing to put your life in the hands of people other than yourself? If the answer to any one of the above questions is “no,” then it is high time to let the world know that you are a medical consumer – not a guinea pig. Show the pharmaceutical companies you are willing to be an educated medical consumer. Let health officials know you and your family are not guinea pigs for the vaccine industry! Gardasil, the human papillomavirus vaccine: Demand Justice! Be the first to comment on "HPV Vaccines Exposed: Subterfuge in a Syringe?"